I just read about the latest discovery in the pyramids—a mummification workshop. Will the great mysteries of Egyptian mummification at last be revealed? Will there be any mention of beeswax? 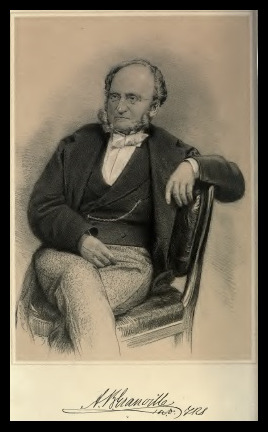 So far I’ve read only of “oils and substances” being found, but surely specific identifications will come, and suddenly my research into Dr. Augustus Bozzi Granville (father Italian, mother Cornish) feels a bit less abstruse. I’m glad I found and snatched up just this week that one copy of his autobiography found online (“First edition, 2 volumes complete, in half leather boards with marbled end papers and cut edge. Minor signs of repairs to the spine creases of Volume 1 and its end paper hinges reinforced with a strip of red tape. Boards clean and bright with some rubbing of the edges. Both books firm with contents in nice condition.”). The books are coming from England. The title alone brings joy. Autobiography of A. B. Granville, M.D., F.R.S.,—Being 88 Years of the Life of a Physician Who Practiced His Profession in Italy, Greece, Turkey, Spain, Portugal, The West Indies, Russia, Germany, France, and England. Edited, with a Brief Account of the Last Years of His Life, by His Youngest Daughter, Paulina B. Granville.